fastjet Tanzania’s first flight between Dar es Salaam in Tanzania and Lilongwe in Malawi took off today, marking the launch of the low-cost airline’s sixth international route in Africa. Flight FN209 departed Dar es Salaam’s Julius Nyerere International Airport at 09h40 with Tanzanian government officials, local passengers and media on board. Upon arrival at Malawi’s Lilongwe International Airport at 10h20, fastjet hosted an official launch ceremony before returning to Dar es Salaam on flight FN210 at 10h55, landing at 13h35 (all local times). The Dar es Salaam – Lilongwe flights will initially operate twice a week on Mondays and Fridays, using the airline’s modern Airbus A319 jet aircraft with seating for up to 156 passengers. fastjet Tanzania expects to add more capacity to this route as demand for its safe, quick, affordable and on-time service increases. Tickets for flights with fastjet are on sale starting from US$50 one-way, excluding taxes, with the promise that the earlier the booking is made, the lower the fare will be. This compares favourably with other carriers on the route that charge upwards of $300, plus taxes. The journey by road between the two cities takes at least 21 hours, travelling 1,520km around Lake Malawi. 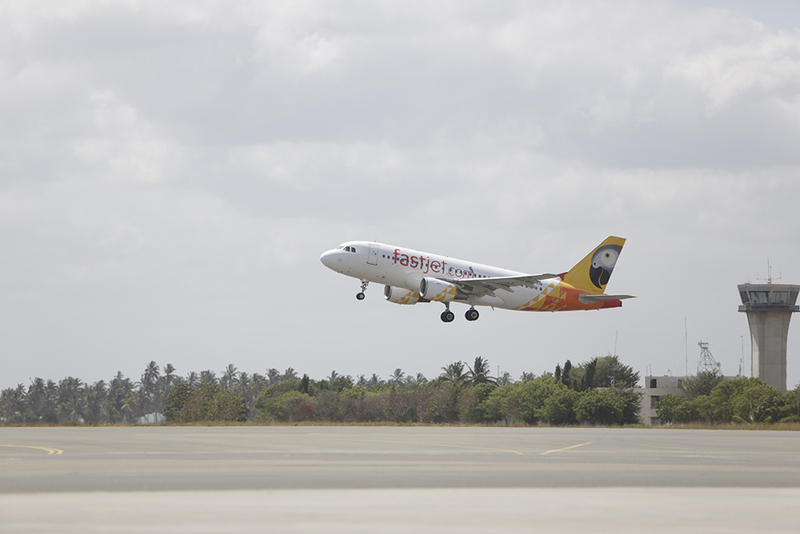 With its low-cost fares, fastjet Tanzania expects many of its passengers on this new route to be first time flyers who would otherwise not have been able to afford to travel by air. Supporting this belief is the research undertaken by the airline in December 2014, which showed that 35% of its passengers were first time flyers. fastjet Tanzania already operates domestically from Dar es Salaam to Mwanza, Mbeya and Kilimanjaro, as well as between Kilimanjaro and Mwanza, and internationally between Dar es Salaam and Johannesburg in South Africa, Lusaka in Zambia, Entebbe in Uganda, and Harare in Zimbabwe. fastjet also flies between Kilimanjaro and Entebbe.